The 40th Anniversary Exhibition Opens May 23, with an opening reception, with artists in attendance, on June 11 from 2 – 5 pm. 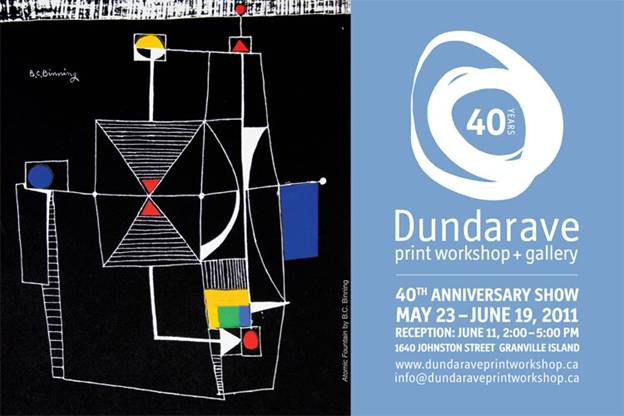 Come by and join us in celebrating this exceptional milestone——Dundarave’s 4th decade as a Cooperative Fine Art Printmaking Studio. This entry was posted in shows and tagged anniversary by dundaraveprintworkshop. Bookmark the permalink.